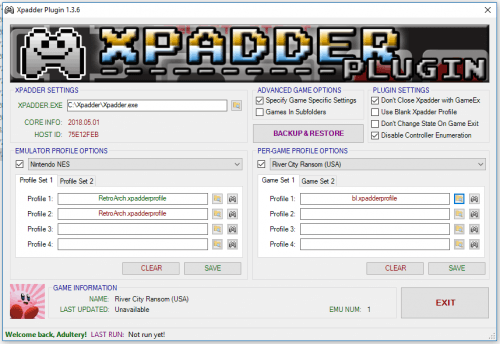 Create your Xpadder profiles, or use your existing ones. Unzip the PLUGINS folder to your GameEx directory. 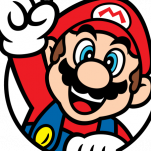 Launch the Plugin Manager from your GameEx start menu folder. Select the emulator (or GameEx interface) from the drop-down list. Browse to your Xpadder profiles. Click the "EDIT" button next to the profile to load it and edit it from the configuration screen. Questions or comments? Head to the official release thread located here. The Zip/7zip/GoodMerge/RAR setting must be enabled for the emulator to leverage this feature! 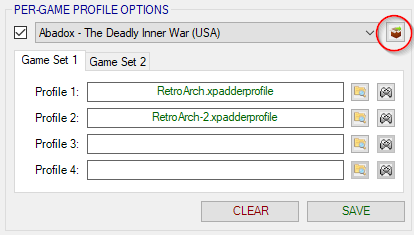 A popup will open to set up to 8 profiles for each individual ROM in the archive, similar to how flat "games" work. Set your profiles and save, just like a "regular" game.